LINK HR is the outsourced Human Resources Department of small and mid-sized organizations in the GTA. Most SMEs understand the importance of the Human Resources function, however do not have the need, or budget, for a full-time HR resource. The Human Resources Consultants of LINK HR become an extension of your business, providing on-demand services and solutions, at a fraction of the cost. To be the trusted HR Advisor of small and medium-sized enterprises in Ontario. To provide forward-thinking and value-added people solutions that LINK to the business strategy. LINK HR was founded by Adriana Scali after she developed and managed the HR Department of a medium-size not-for-profit. It was through this experience that she learned about the specific Human Resources challenges faced by smaller, growing organizations. LINK HR was established to support organizations without a full-time HR Department, as well as to support HR Professionals of organizations requiring external expertise for special projects or at busy times. Adriana is a Certified Human Resources Leader (CHRL) with the Human Resources Professionals Association. She has supported organizations large and small with policy development, training, employee relations, recruitment, performance management, health & safety, and HR system implementation. Her experience of over 15 years spans various industries including healthcare, finance, technology, retail, property management, social services, and the not-for-profit sector. Adriana is also certified to administer the EQ-i library of assessments which she uses to support the leadership and emotional intelligence development of individuals and groups. 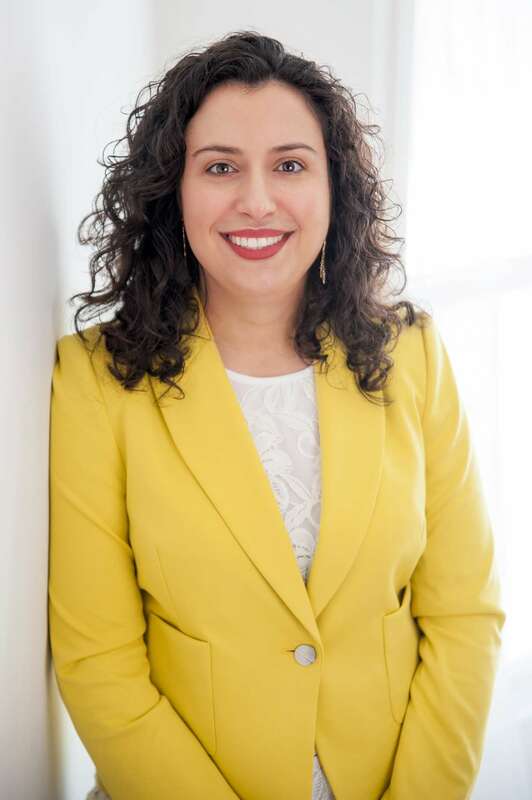 After achieving a Master of Arts from the University of Toronto, Adriana graduated with Honours from the Human Resources Management Post-Diploma Program at Seneca College. Since then, she has been committed to ongoing professional development, ensuring to stay current with best practices and HR developments. In 2016, she was a nominated finalist for the Markham Board of Trade’s ASPIRE Award for Professional Excellence, Mentorship, and Community Involvement. Adriana’s approach is genuine and transparent. She always considers the best interests of the client and proposes solutions that fit within their budget and timelines. She places quality and integrity at the forefront of all she does. Adriana works with other HR Consultants on the LINK HR Team to deliver expert services and solutions to clients. Looking for a Markham, York Region, or GTA HR Consultant?